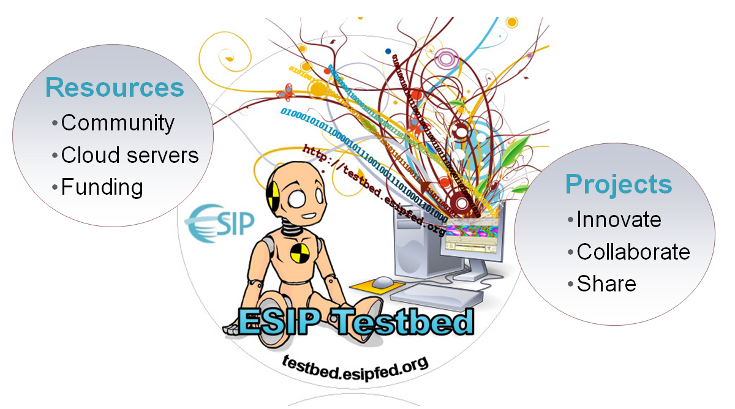 The ESIP Testbed is an environment where technology, standards, services, protocols, and best practices can be explored and evaluated. The Testbed serves as a forum for innovative collaborations across all sectors of the ESIP Federation to improve availability and access to our member products and services for mutual benefit. Comments about each current Testbed activity can be shared within this environment. Also find information on Past Testbed Tasks here. 2017 October ESIP Testbed Request for Proposals April 2016 Products & Services Testbed RFP posted November 2015 Testbed RFP posted June 2015 Testbed RFPs posted October 2014 Call for Testbed Projects!